Today is my rest day. As in there will be no working out for my body. I’ve worked out every day this week and normally I would go for a walk or a light bike ride (active rest) but my in-laws are in town and they’re the priority. I’ve heard horror stories about people hating their in-laws but I’m lucky. I absolutely love mine. 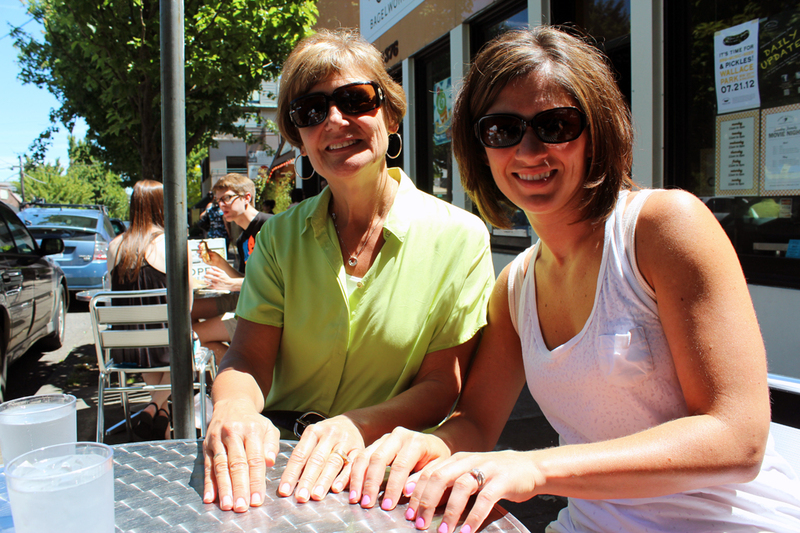 This morning, my mother in law and I went for manicures and pedicures at Dosha. Then we met back up with Chris and his dad and grabbed some lunch on 23rd. Then we headed to a grocery store near our house to get some nut butter that my friends Sunny and Andy have been raving about. It’s called Bee-nut butter and it’s natural peanut butter with honey and sea-salt. Chris doesn’t get it. He says we already have PB, honey and salt so why spend the money to get something we already have all the ingredients to? I say, it sounds amazing and can’t wait to try it. I’ll let you know how it goes. 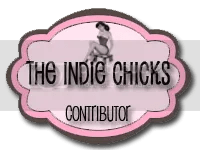 While I was there, the check-out girl and I started talking about nut butters and she said one of her fave breakfasts is toasts with coconut oil, peanut butter and a sliced banana which I’m definitely going to try. I’ve never thought to put coconut oil on my toast…has anyone else tried something similar? Hope you all are having great weekends. Are you doing anything fun for father’s day tomorrow. 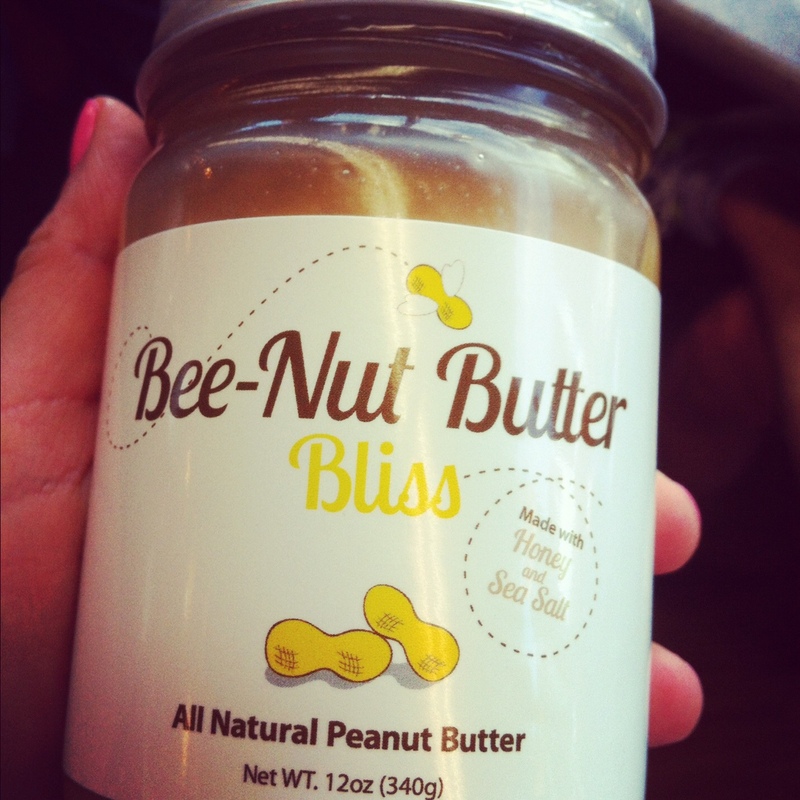 This entry was posted in weekends and tagged bee-nut butter, rest day by Whitney. Bookmark the permalink. I love to get manicures, but just don’t anymore because usually the polish chips the same day. :( Guess I need to try the shellac one day and see how that does. So it’s only been two days and already my nails are chipping. I was peeling a bunch of hard-boiled eggs last night and looked down at my nails after and realized the shells had scratched them all up. No good. I have just got some Coconoil Coconut oil and it came with a brochure saying what you can use the oil for and it suggested on toast and in jacket potatoes as an alternative to butter, I haven’t tried it as I wasn’t sure if it would be nice or not, but will give it a go if she finds it tasty. Fab nails and I have a great in-laws too. Have a great Sunday. I made a little coconut oil, PB, banana wrap today. We’ll see how it goes.